Louisiana Tech University’s New Frontiers in Biomedical Research Series next lecture will be given by Dr. Edwin Weeber at 3:30 p.m. Feb. 11 in University Hall. The presentation, titled “Reelin’ in Memories: Reversing Cognitive Defects from Normal Aging and Disease States,” is free and open to the public. 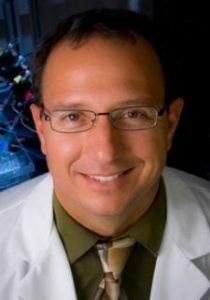 Weeber is Professor of Molecular Pharmacology and Physiology, Chief Scientific Officer at USF Health Byrd Alzheimer’s Institute, Director of Murine Neurobehavioral Testing, and Professor of College of Medicine Molecular Pharmacology & Physiology at University of South Florida. Weeber’s research focuses on the development of a detailed understanding of the cellular and molecular mechanisms involved in learning and memory and then applying these insights to the identification of new treatments for cognitive disorders. Within this research field, Weeber achieved international attention for being the first to cure the symptoms of Angelman Syndrome in a mouse model. Angelman Syndrome is a rare neurogenetic disorder that affects roughly one in 15,000 people and about 500,000 people in the world. His efforts, centered on identifying therapeutics for the treatment of Angelman syndrome, have led to recent clinical trials. He is currently head of the Foundation for Angelman Syndrome Therapeutics “FIRE” consortium. This includes five expert laboratories from four universities all working collaboratively to find treatments for Angelman Syndrome. Weeber has also developed numerous novel mouse models to investigate the memory disruption associated with normal aging and disease states, such as Alzheimer’s disease. This work focuses primarily on the lipoprotein receptor/ApoE-Reelin signaling system and is funded by the National Institutes of Health. With nearly 150 peer reviewed research articles and several patents, Weeber is at the forefront of critical neuroscience research. This visit is significant because he will present four days before International Angelman Syndrome Awareness Day, Feb. 15. In conjunction with this day, there will be an exhibition of portrait paintings at the Enterprise Center by Assistant Professor Whitney Trisler Causey of the School of Design. The Exhibition “Extreme Happiness and Excitability” is a reflection of Angelman Syndrome and its effects. There will be an opening reception from 5-7 p.m. Feb. 15. will be on display from Feb. 11 to March 15. Weeber’s seminar is the second lecture of the 2018-19 New Frontiers in Biomedical Research Seminar Series. The series is an interdisciplinary lecture series that focuses on advancements in the fields of biomedical engineering, biology, biochemistry, and physics. The series strives to foster an understanding of human health and disease by bringing renowned researchers to campus for faculty, students, and members of the Ruston community to interact with. All New Frontiers in Biomedical Research seminars are free and open to the public. Seminars begin at 3:30 p.m. at University Hall on the Louisiana Tech campus and are followed by a reception to meet the speaker. For more information on the series contact Dr. Jamie Newman at jjnewman@latech.edu or Dr. Mary Caldorera-Moore at mcmoore@latech.edu. Weeber’s visit is sponsored by the Center for Biomedical Engineering and Rehabilitation Science.